I guess I have beach on the brain as my annual family vacation is quickly approaching. I am by no means ready for a bikini, but I am ready for beach breezes and coastal design (and shrimp, lots and lots of shrimp)! 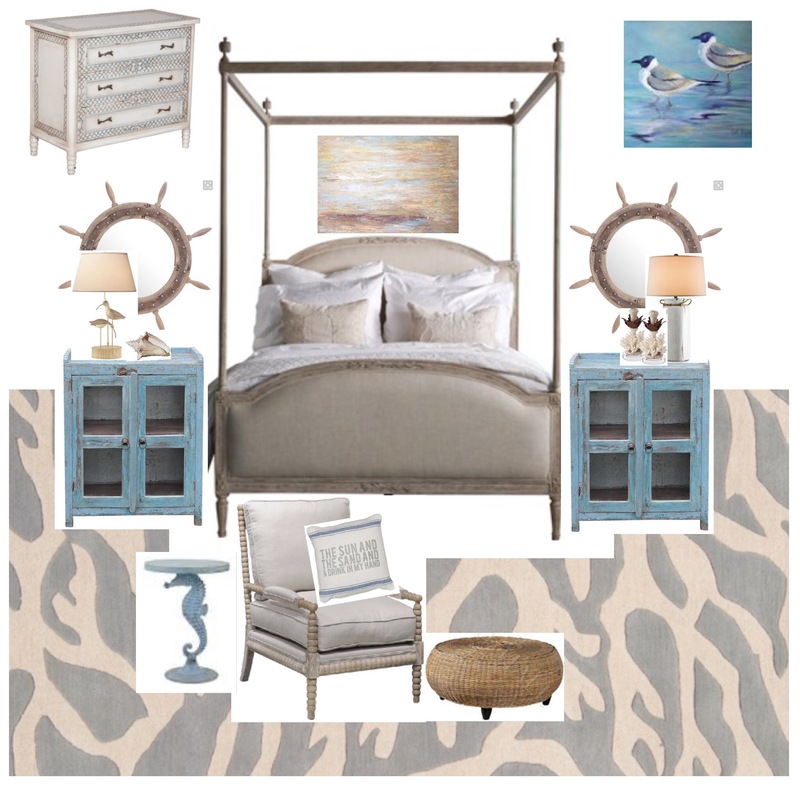 The design board below is my dream of a bedroom in the beach house we will own “one day.” If anyone wants help decorating their holiday home, I would love to see this room come to life for you! 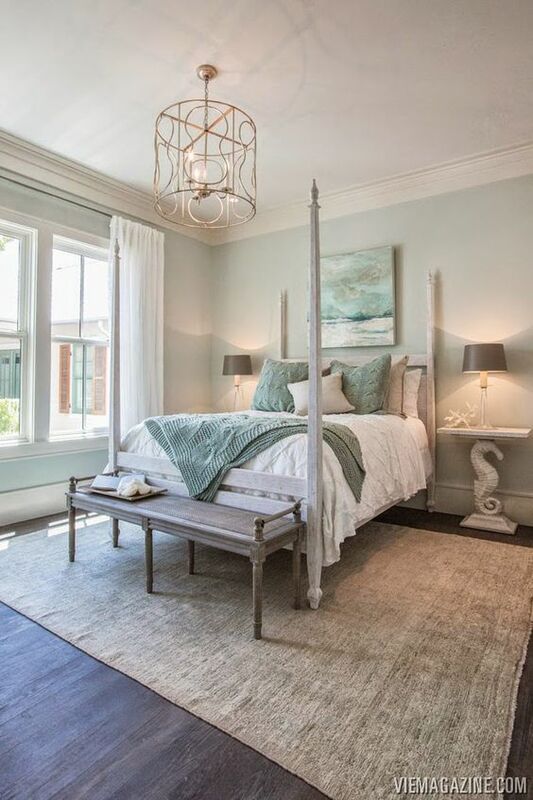 Photo Source: Pinterest – Bed sold by Blue Hand Home. For additional decorating ideas, check out Sitting Pretty Redesign on Houzz. 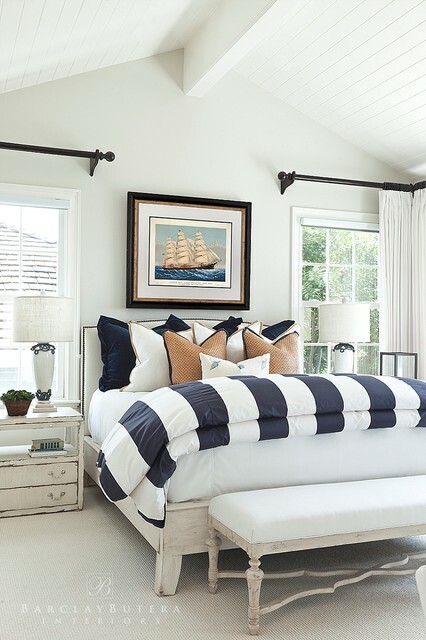 My Idea Book for Going Coastal has even more beach house designs to inspire you this sunny season. As always, I would love to help you create a space you love and deserve. Click Services for Designing to Dwell to see which of our many services suits you. And, if you are fortunate enough to live on a beautiful coast somewhere, I would be delighted to bring Sitting Pretty Redesign services to you virtually via our e-Decorating service! Wish me luck this summer, as we will embark on our first-ever road trip with a toddler. The plan so far is to keep my coffee in hand and my eye on the prizes (and the road, of course)…white sand between my toes, an umbrella in my drink, and shrimp for days. Life’s a BEACH! Bring on the sunshine!